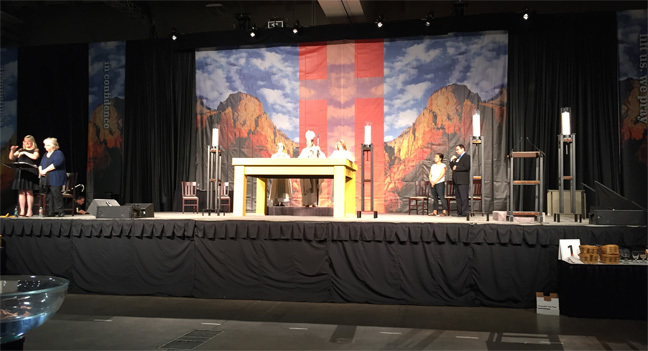 2018: The 79th General Convention is now in session! Follow our Hawai'i deputation, youth representative and ECW Triennial on our Facebook page HERE. For latest updates, visit the General Convention website HERE or Media hub HERE. 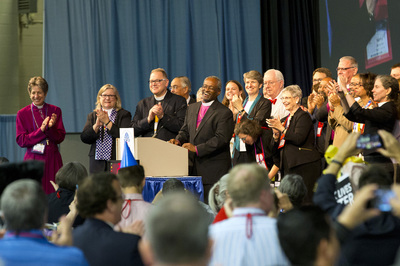 The 79th General Convention of The Episcopal Church will be held July 5-13, 2018, at The Austin Convention Center, Austin, Texas (Diocese of Texas). ​For more information, forms and other material pertaining to the meeting, visit the General Convention website HERE. The previous session of the General Convention (pictured above and below) was in Salt Lake City, Utah, in 2015. For complete coverage and information on this event, visit the General Convention website HERE. This historic meeting saw the election of the 27th Presiding Bishop, Michael Curry. 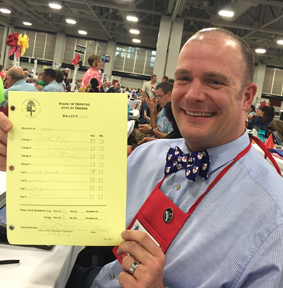 To read an article about the Convention by the Rev. Moki Hino, click HERE. 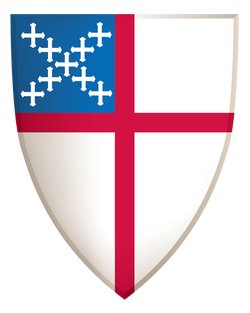 General Convention is the triennial legislative gathering of The Episcopal Church and many of its national and global partners. 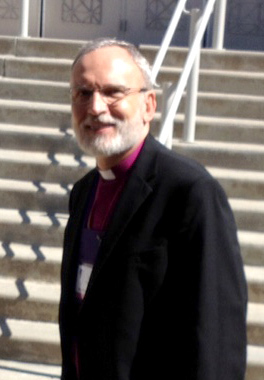 The triennial gathering of Episcopal Church Women also takes place concurrently. About 3,500 participate in the event and several thousand others will visit at some point to take part in activities ranging from worship, to exhibit hall time, to organizational dinners and special programs. In addition to being a time devoted to legislative matters such as study, discussion, and voting, General Convention is also like a big family reunion. 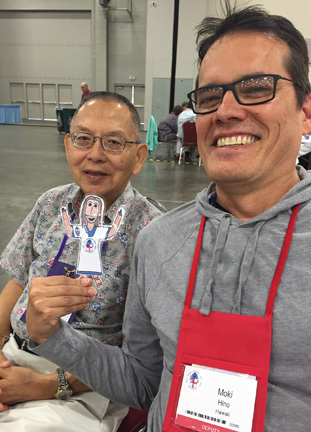 Seminaries and colleges host alumni gatherings; national organizations hold luncheons, dinners, or award presentations; and groups of friends from across the country and around the world gather to renew friendships. The General Convention Website is HERE, which is where you'll find resources, including the schedule and Blue Book.